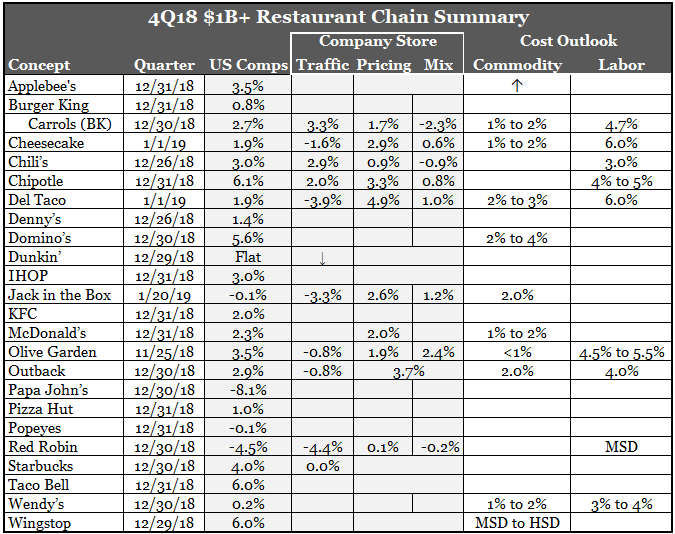 Casual chains are currently leading the industry by returning to the basics of: service improvements; food upgrades; value focus; and leveraging digital to improve access and take-out. In addition, some segment players are learning how to use social media to move the needle at a time when less consumers can be reached with traditional TV marketing. Family players are following in casual's footsteps with improvements across the basics, proving that consumers reward fundamental upgrades with more business. Domino's continues to lead the industry by demonstrating that its all about price value and convenience. 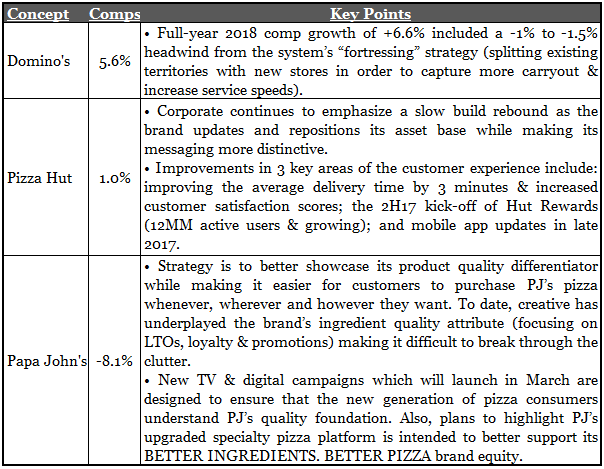 Pizza Hut and Papa John's are in various stages of their respective turn-arounds, carving-out their own niches in a very commodity-like segment. 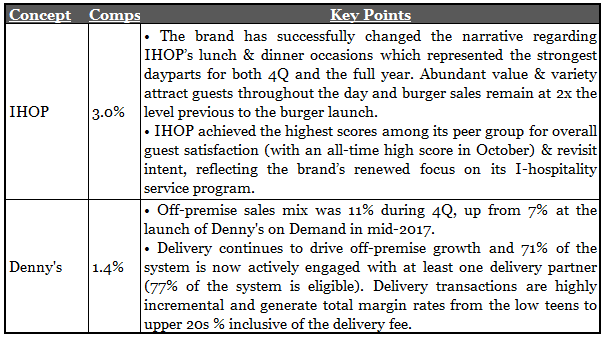 The burger segment of QSR is particularly challenged by McDonald's ongoing execution which translates into less share for everyone else. It continues to be all about value for these players who must attract consumers from the lowest rung of the economic ladder. Chicken is a popular protein and chicken wings in particular. KFC is doing a good job of repositioning itself around a more relevant image that makes fried chicken cool again. 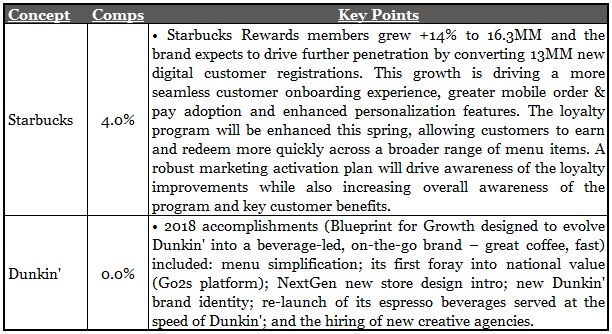 Starbucks, upgraded QSR coffee offerings and c-stores continue to make things difficult for Dunkin'. 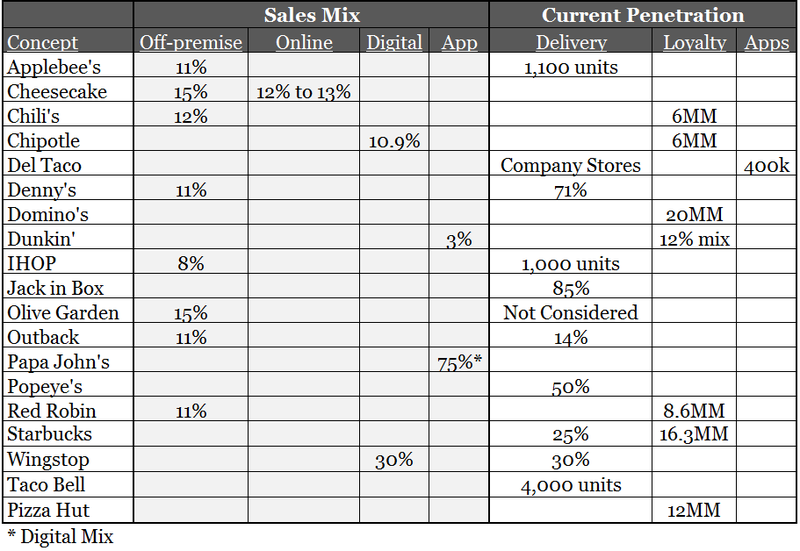 Favorable demographics and abundant value continues to favor this segment. 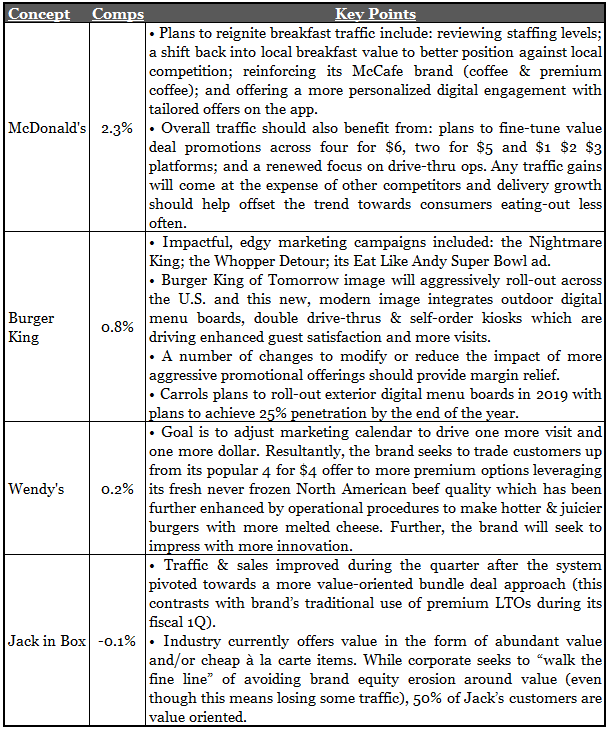 Chipotle's CEO has been able to leverage his previous background at Taco Bell with similar results this quarter.